Demand extra length and thickness from your mascara and get it with the Lancôme Cils Booster XL Mascara Base. Apply this innovative .18 oz. formula as a base and unleash the power of micro-fibers to maximize the results of any Lancôme mascara. Give your lashes that XL boost! - Micro-fibers for enhanced effect. - Triangular brush helps separate lashes. 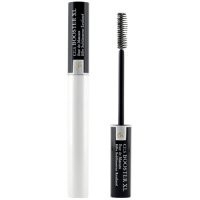 - Gives a mascara base performance: glides on and evenly coats your lashes, making them smoother and preparing them for easier mascara application. - Contains D-panthenol and Vitamin E in a formula that helps fortify, strengthen and provide optimal antioxidant protection for your lashes. - Gives visible mascara boosting performance: the base's white color helps brighten the color of your mascara, making it more vibrant. Aqua/Water/Eau, Oryza Sativa Cera/Rice Bran Wax, Cera Carnauba/Carnauba Wax/Cire De Carnauba, Cera Alba/Beeswax/Cire D'abeille, Stearic Acid, Candelilla Cera/Candelilla Wax/Cire De Candelilla, Triethanolamine, Palmitic Acid, Acacia Senegal/Acacia Senegal Gum, Panthenol, Sodium Polymethacrylate, Hydroxyethylcellulose, Propylparaben, PEG/PPG-17/18 Dimethicone, Methylparaben, Simethicone, Rayon, Polyquaternium-10, Tocopheryl Acetate, Polycaprolactone.